Shiv Sena revived its attack on the bullet train project, saying the government could spare thousands of crores for the high-speed train for the rich but not for the Mumbai suburban railways. MUMBAI: BJP ally Shiv Sena joined the opposition to launch a scathing attack on the railway ministry for the rush-hour stampede that killed 22 commuters in Mumbai today, saying the central government didn't have money to spend on a bridge used by poor commuters but "gave Rs 30,000 crores in one day" for the bullet trains. 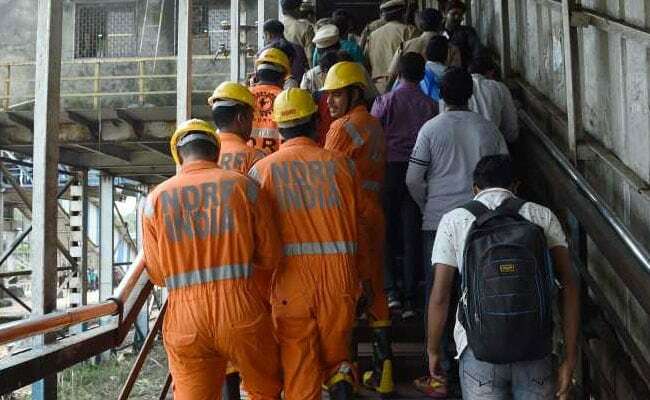 Sena lawmaker Sanjay Raut said its leaders had been writing to the railway ministry to seek repairs. "How many times did our MP go to the railway ministry... You have money for bullet trains, but not for repairing the bridge," he said. The Shiv Sena had been one of the sharpest critics of the Rs 1,08,000 crore bullet train that India started to build this year. The Sena has argued that the high-speed train - which will run between Ahmedabad and Mumbai - did not really fit into the needs of the country. "You let the poor passengers die...and for moneyed passengers, you talk about bullet trains," said Sanjay Raut, demanding prosecution of the "railway ministry" for what he described as a "massacre". The stampede broke out around 10.30 am on the British-era narrow bridge connects the busy Elphinstone Road and Parel train stations. There were more than the usual people on the bridge at the time, waiting for the rain to end. Then, four trains came at the same time. Due to the rain, a few commuters slipped, which led to the stampede. There were also rumours that the British-era bridge - that commuters said shakes every time a train passes - is falling. Expressing shock and anguish at the death of so many people, Congress president Sonia Gandhi called "a man-made" and avoidable disaster. "Such accidents could have been avoided had there been proper planning and concern for safety issues," she said. Responding to the bars, Minister of State for Railways, Manoj Sinha, said it was wrong to link the tragedy to the bullet train project. "Please don't link this to bullet trains. No one should politicise this event," he said.